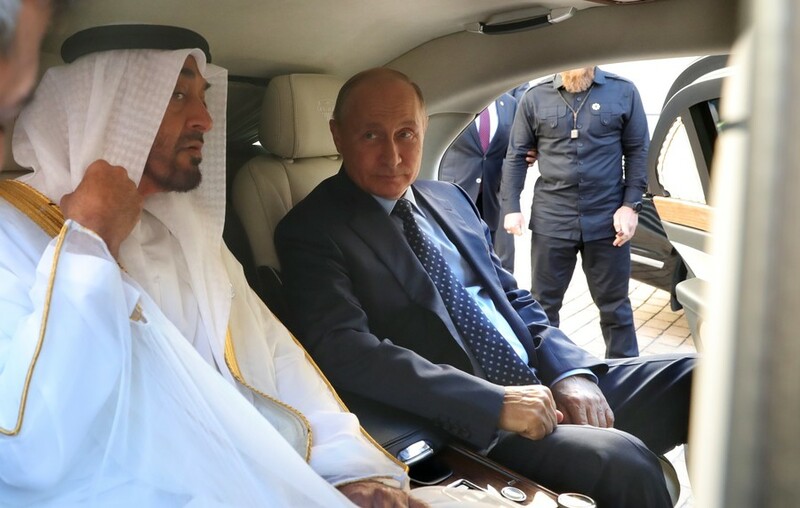 Russian President Vladimir Putin showed off the interior of the brand-new addition to his motorcade to Crown Prince of Abu Dhabi Mohammed bin Zayed Al Nahyan, who is visiting Moscow. 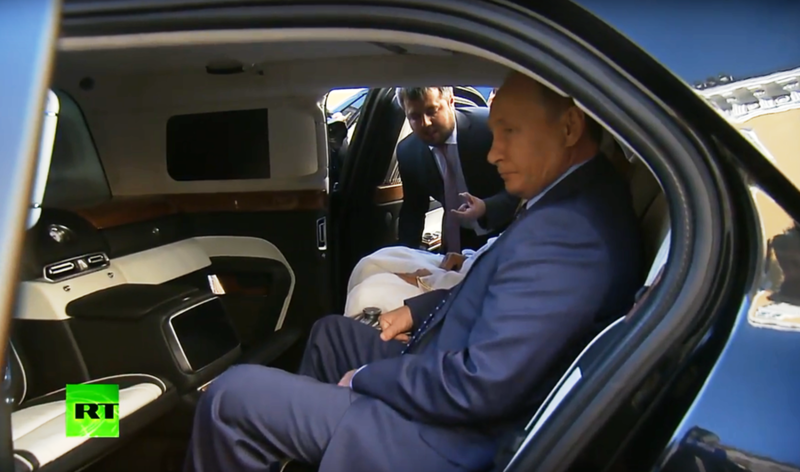 Following talks, Putin invited the prince, nicknamed MbZ, to check out his car from the new ‘Kortezh’ (‘Motorcade’) project. 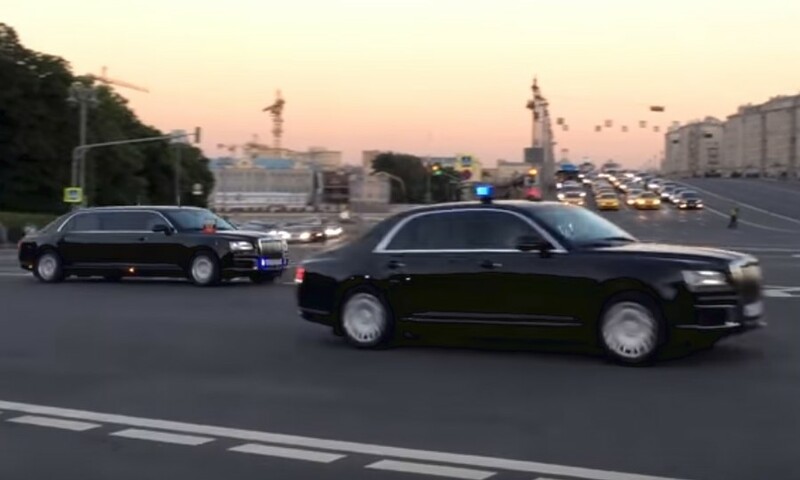 As they approached the black limo parked near the Grand Kremlin Palace, Putin told his guest the car is a little bit bigger than a Mercedes. 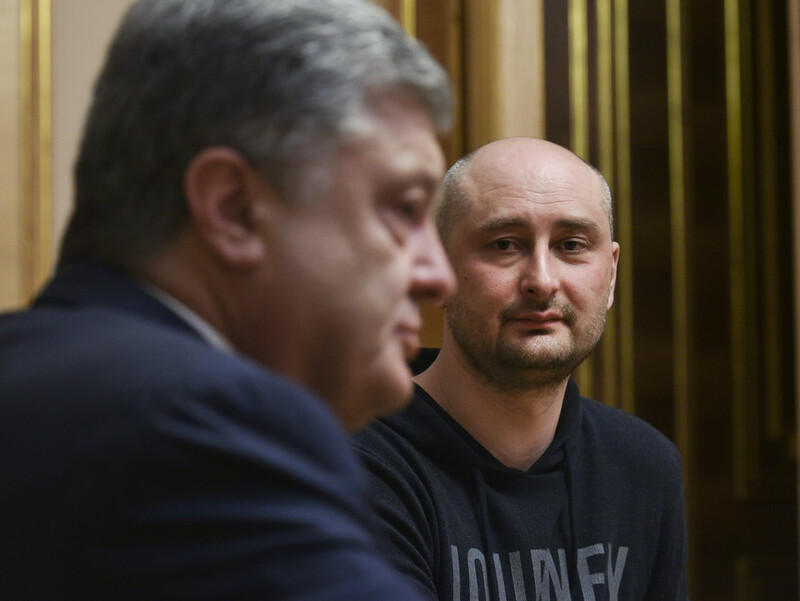 “It’s very comfortable,” MbZ said sitting inside with Putin. A matter of prestige, the domestically-produced cars of the new Aurus line are meant for the transportation of senior officials. The limo had its debut during Putin’s swearing-in ceremony in May. And the presidential motorcade may receive even more additions next year, as a Kalashnikov-designed motorcycle is expected to be rolled out.